Desde la toma de poder de Xi Jinping, se ha estado debatiendo sobre el futuro de la política exterior china. Sin embargo, estos debates carecen de contexto histórico o ideológico. Dado el carácter hipercentralizado del sistema político chino, la política exterior se debe analizar usando como fundamento las Ideología Guías y los Principios Guías creados por distintos líderes del país. Esto permite entender tanto los factores ideológicos de su política exterior, así como las estrategias y acciones que China ha tomado a nivel internacional. Mediante el análisis de documentos primarios, discursos, libros blancos y documentos secundarios, esta investigación propone que la política exterior china (desde 1949) ha tenido tres etapas distintivas. La primera etapa, que se extiende durante el período en que Mao Zedong estuvo en el poder, se caracteriza por la creación de Principios Guías enfocados en el activismo revolucionario e internacional. La segunda etapa, que comienza con Deng Xiaoping y concluye con Hu Jintao (1978-2012), se define como una etapa tímida, renuente de llamar la atención o tomar liderazgo internacionalmente. Mientras que la última etapa, ha comenzado con Xi Jinping (2013) y se diferencia por una mayor asertividad, confianza y disponibilidad de tomar liderazgo ante el sistema internacional. Este artículo es un breve compendio de los factores históricos e ideológicos que ponen en contexto la evolución de la política exterior de China y la relación de Xi Jinping con la política de su antecesores. Allison, G. (2017). Destined for War: Can America and China Escape the Thucydides’ Trap. New York, NY: Houghton Mifflin Hacourt. Bijian, Z. (2005). China's peaceful rise to great-power status. Foreign Affairs, 84(5), 18-24. Blanchard, J.-M. F., & Guo, S. (2010). Introduction “Harmonious World” and China’s New Foreign Policy. En Jean Marc F. Blanchard & Sujian Guo (Eds. ), “Harmonious World” and China’s New Foreign Policy (pp. 1–19). Lanham: Lexington Books. Carrico, A. (2013) Grande Estratégia e o «sonho da China» de Xi Jinping. Relações Internacionais, 38 (June), 23-33. Chai, W. (2003). The Ideological Paradigm Shifts of China's World Views: From Marxism-Leninism-Maoism to the Pragmatism-Multilateralism of the Deng-Jiang-Hu Era. Asian Affairs, 30(3), 163-175. Chan, K. M. (2010). Harmonious society. En International encyclopedia of civil society, (pp. 821-825). Springer, New York, NY. Cheek, T. (2002). Mao Zedong and China's revolutions: a brief history with documents. Boston, MA: Macmillan. Chen, D. and Wang, J. (2011). Lying Low No More? China’s New Thinking on the Tao Guang Yang Hui Strategy. China: An International Journal. 9(2),195-216. Cheng, J. Y. S., & Zhan, F. W. (2009). Chinese foreign relation strategies under Mao and Deng: a systematic and comparative analysis. Kasarinlan: Philippine Journal of Third World Studies, 14(3), 91-114. Clements, J. (2008). The Unequal Treaties. En Wellington Koo: China(pp. 11-22). London, UK: Haus Publishing. Denton, K. (2014) China Dreams and the ‘Road to Revival’. Origins. 8(3). Recuperado el 28 de julio de 2018 de: http://origins.osu.edu/article/china-dreams-and-road-revival. Economy, E. C. (2014). China's Imperial President: Xi Jinping Tightens His Grip. Foreign Affairs, 93(6), 80-86. Fewsmith, J. (2004). Promoting the scientific development concept. China Leadership Monitor, 11(30), 1-10. Friedman, E. (2000). Globalization, Legitimacy, and Post-Communism in China: A nationalist potential for democracy, prosperity, and peace En Hung-mao Tien, Yunhan Zhu (Eds), China under Jiang Zemin (pp. 233-246). Boulder, CO: Lynne Rienner Publishers..
García García, A.(2018). El orden internacional del siglo XXI: Nuevos temas y nuevos protagonistas. 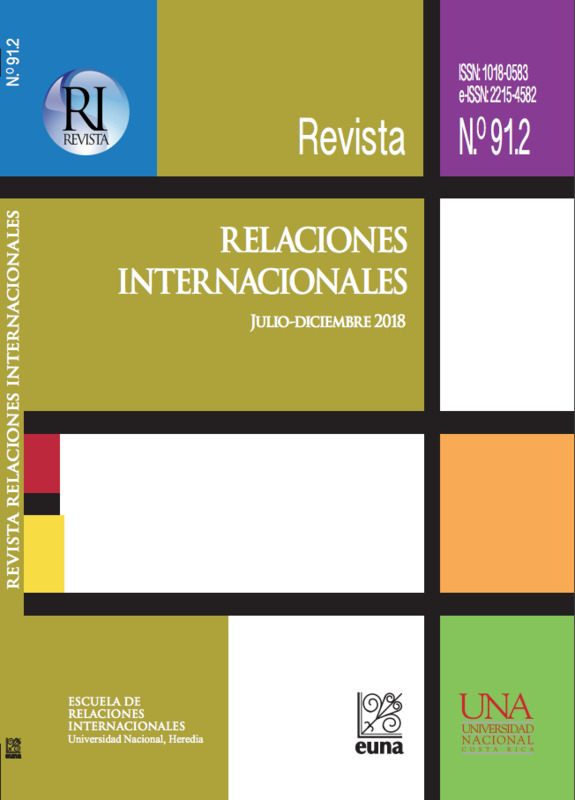 Revista de Relaciones Internacionales de la UNAM, (129), 191-205. Garver, J.W.(2015). China's Quest: The History of the Foreign Relations of the People’s Republic of China. New York, NY: Oxford University Press. Glaser, B. S., & Medeiros, E. S. (2007). The changing ecology of foreign policy-making in China: the ascension and demise of the theory of “peaceful rise”. The China Quarterly, 190, 291-310. Heath, T. R. (2014). China's New Governing Party Paradigm: Political Renewal and the Pursuit of National Rejuvenation. London, UK: Routledge. Hongying, Q. (2000) Multilateralism in Chinese Foreign Policy: The Limits of Socialization. En Waxing Hu, Gerald Chan & Daojiong Zha (Eds.) China’s International Relations in the 21st Century: Dynamics of Paradigm Shifts. Lanham, MD: University Press of America. Hu, W. (2016). Xi Jinping’s ‘Big Power Diplomacy’ and China’s Central National Security Commission (CNSC). 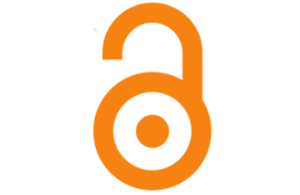 Journal of Contemporary China, 25(98), 163-177. Ikenberry, J. (2008). The Rise of China and the Future of the West: Can the Liberal System Survive? Foreign Affairs, 87(1), 23-37. Jiabao, W. (2004). Carrying forward the five principles of peaceful coexistence in the promotion of peace and development. Chinese Journal of International Law, 3(2), 363-368. Jinping, Xi (2015). La Gobernación y Administración de China (2da ed.) Beijing: Ediciones en Lenguas Extranjeras. Keyser, C.H., & Lin, S. (2007). Conceptualizing Foreign Policy: The “Peaceful Rise” Debate among China’s Scholars. In Sujian Guo & Shiping Hua (Eds. ), New Dimensions of Chinese Foreign Policy (pp. 41–61). Lanham, MD: Lexington Books. Kim, S. (1994). China and the Third Wold in the Changing World Order. En Samuel S. Kim (ed) China and the World: Chinese Foreign Relations in the Post-Cold War Era. Boulder, CO: Westview Press. Lam, W.(2016). Xi Jinping’s Ideology and Statecraft.Chinese Law and Government, 48(6), 409-417. Li, X. (2013). The Taming of The Red Dragon: The Militarized Worldview and China's Use of Force, 1949–2001. Foreign Policy Analysis, 9(4), 387-407. Mearsheimer, J. (2006) China’s Unpeaceful Rise. Current History. 105(690): 160-162. Men, J. (2007). Changing Ideology in China and Its Impact on Chinese Foreign Policy. In Sujian Guo & Shiping Hua (Eds. ), New Dimensions of Chinese Foreign Policy (pp. 7–39). Lanham, MD: Lexington Books. Ogunsanwo, A. (1974). China's policy in Africa 1958-71. London, UK: Cambridge University Press. Scott, D. (2007). China stands up: The PRC and the international system. London, UK: Routledge. Shen, S. (2011). Foreign Policy. En William S. Tay & Alvin Y. So (Eds) Handbook of Contemporary China (pp. 173-202). Singapore: World Scientific Publishing Co.
Sørensen, C. T. (2015). The Significance of Xi Jinping's" Chinese Dream" for Chinese Foreign Policy: From" Tao Guang Yang Hui" to" Fen Fa You Wei". Journal of China and International Relations, 3(1): 53-73. Suettinger, R. L. (2004). The rise and descent of “peaceful rise”. China Leadership Monitor, 12(2), 1-10. Swaine, M. D. (2015). Xi Jinping on Chinese foreign relations: The governance of China and Chinese commentary. China Leadership Monitor, 48(1), 1-13. Tien, H. M., & Zhu, Y. (Eds.). (2000). China under Jiang Zemin. Boulder, CO: Lynne Rienner Publishers. Transcript: Xi Jinping's speech at the unveiling of the new Chinese leadership. (2012, noviembre 15) Xinhua News Agency. Recuperado el 28 de julio de 2018 de: https://www.scmp.com/news/18th-party-congress/article/1083153/transcript-xi-jinpings-speech-unveiling-new-chinese. Waltz, K. N. (1988). The origins of war in neorealist theory. The Journal of Interdisciplinary History, 18(4), 615-628. Wang, Z.(2014). The Chinese Dream: Concept and Context. Journal of Chinese Political Science, 19(1), 1-13. Wendt, A. (1992). Anarchy is what Make of it: The Social Construction of Power Politics. International Organization, 46(2), 391-425. Zemin, J. (2002) Texto íntegro del informe de Juan Zemin en XVI Congreso del PCCh. Recuperado el 28 de julio de 2018 de: http://spanish.china.org.cn/spanish/50593.htm. Zhang, F. (2012). Rethinking China’s grand strategy: Beijing’s evolving national interests and strategic ideas in the reform era. International Politics, 49(3), 318-345. Zhang, J. (2015). China’s new foreign policy under Xi Jinping: Towards ‘Peaceful Rise 2.0’. Global Change, Peace & Security, 27(1), 5-19. Zhao, Q. (1996). Interpreting Chinese Foreign Policy: The Micro-Macro Linkage Approach. New York, NY: Oxford University Press. Zhao, S. (2016). Xi Jinping's Maoist Revival. Journal of Democracy, 27(3), 83-97. Zheng, Y., & Tok, S. K. (2007). Harmonious society and harmonious world: China’s policy discourse under Hu Jintao. Briefing Series, 26. The University of Notingham, China Policy Institute. Recuperado el 28 de julio de 2018 de: https://www.nottingham.ac.uk/iaps/documents/cpi/briefings/briefing-26-harmonious-society-and-harmonious-world.pdf. Zhou, H., Zhang, J., & Zhang, M. (2016). Foreign aid in China. New York, NY: Springer.